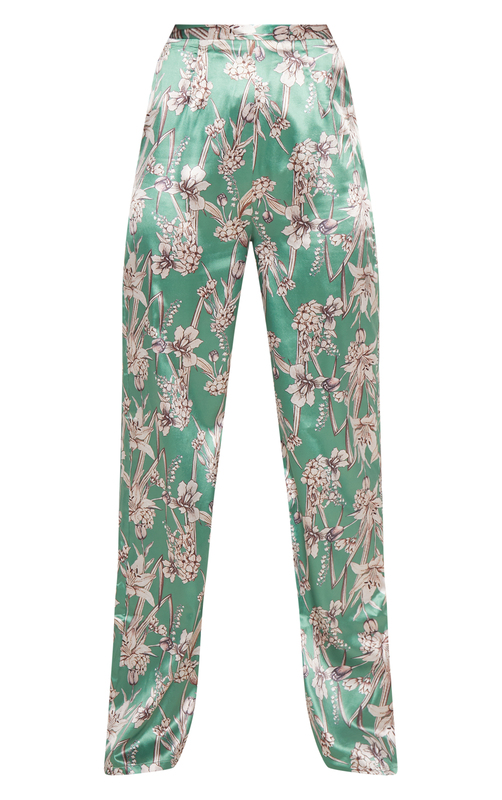 These trousers take any outfit from 0-100. 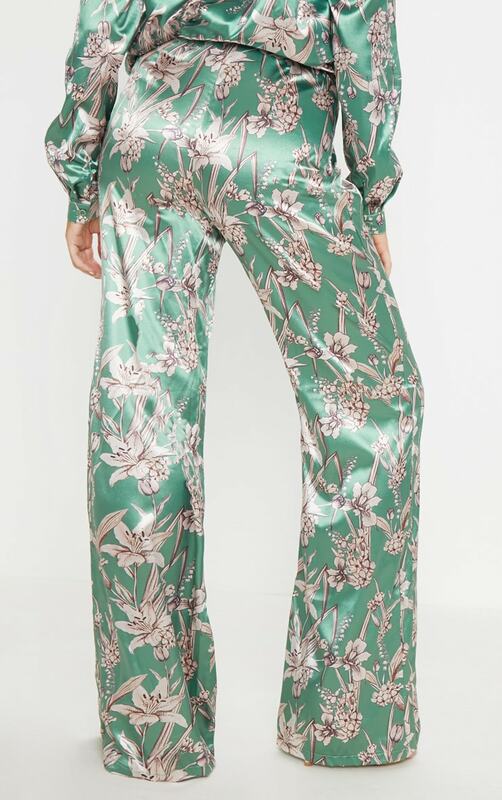 Featuring a satin fabric with an all over floral print and wide leg fit. We love this styled with a cowl neck top and strappy heels for a feminine weekend look.